My brother and his wife went to Europe for their honeymoon. They started off in Paris and ended their trip in Rome. On Wednesdays, the Pope comes out to greet the people in St. Peter’s Square….and does an extra meet-and-greet with newlyweds. Yup, that’s my brother and his wife. 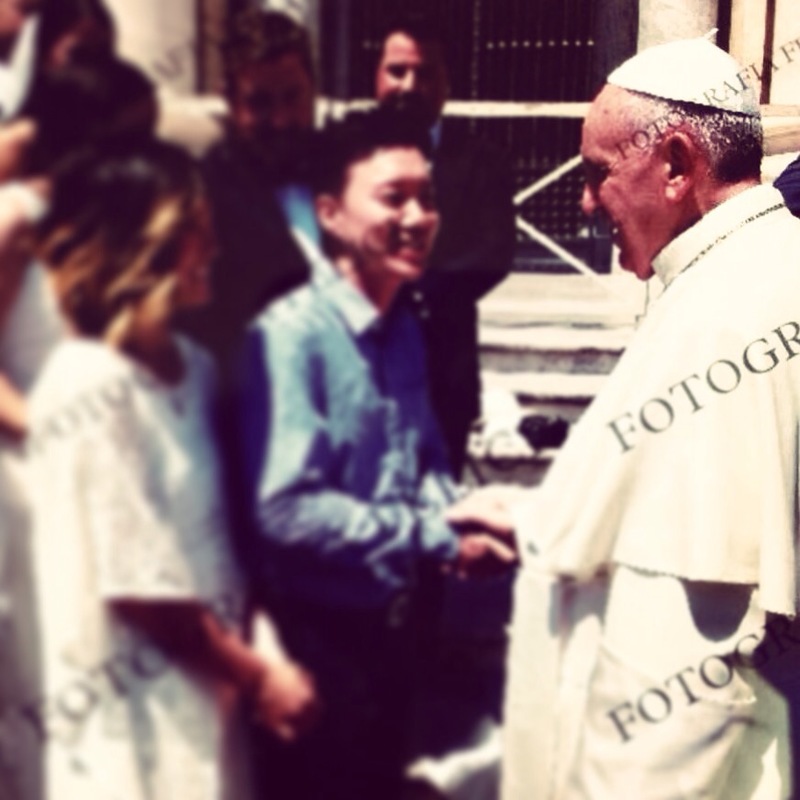 Meeting the Pope. That’s just absolutely amazing. My brother and his wife are devout Catholics and they’re just so humble and generous. I truly believe God divinely favored them for being so faithful and allowed them to meet with Pope Francis so he may bless their marriage. God truly is so good. Miracles and blessings happen every day. Remember to always be grateful.